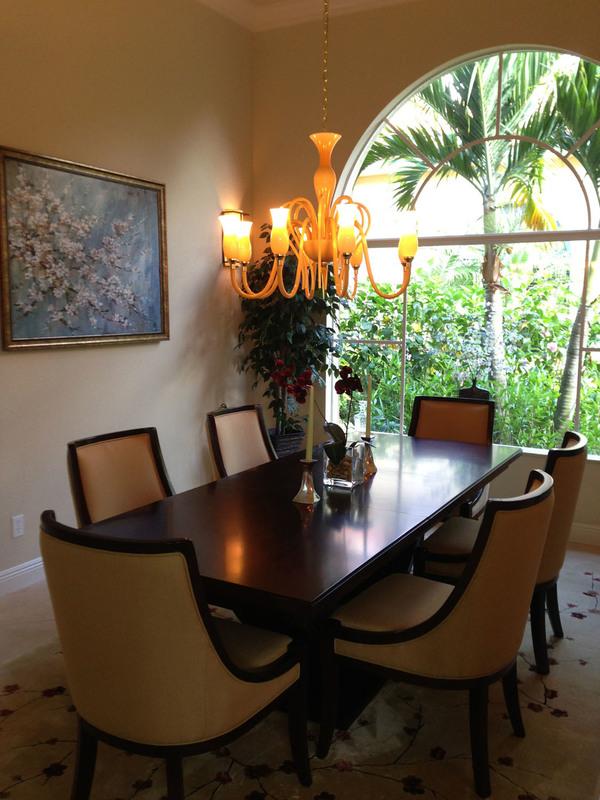 Starting with a blank room... with a Murano chandelier! 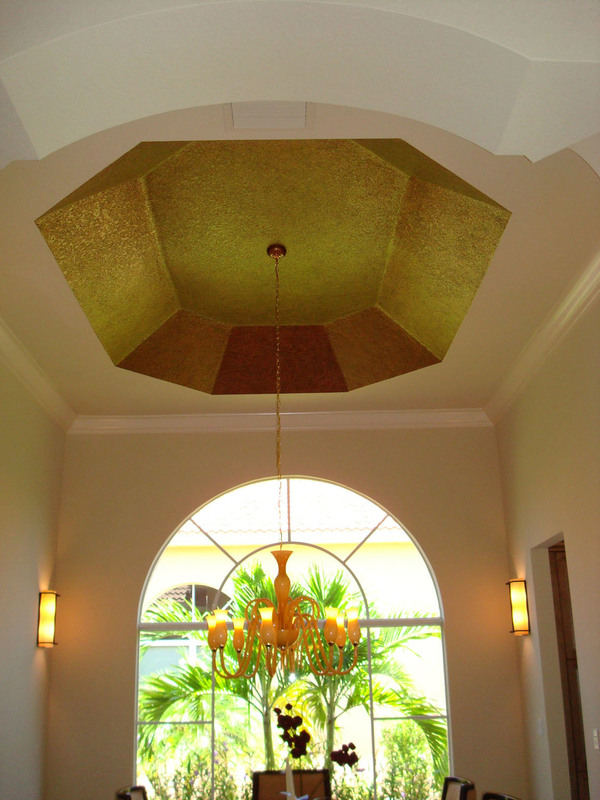 Focal point of this room is the Murano chandelier purchased by the homeowners during a visit to Italy. 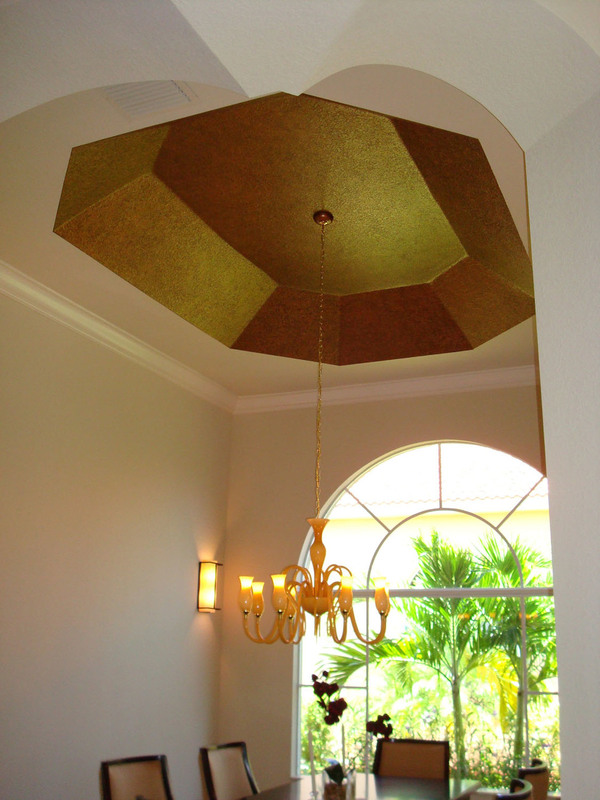 To compliment this element, we did a faux treatment on tray ceiling, wall sconces, table and chairs. Our goal was to keep this room spacious and uncluttered for entertaining.